This casual outfit looks good, but you’re going to looooove how soft it is. My kids hug me a ridiculous amount when I wear it — they want to snuggle in and enjoy my CLOTHES. 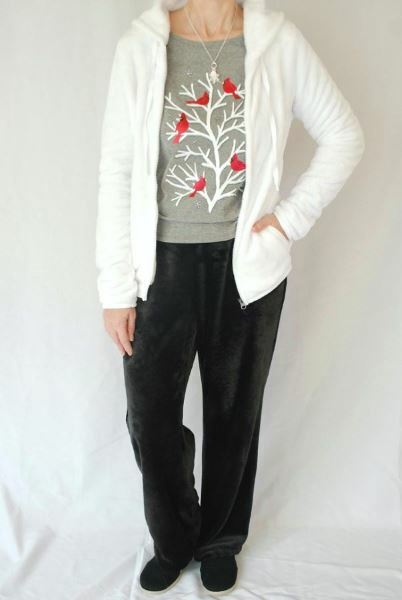 Both the jacket and pants are made of a super soft fuzzy fabric. 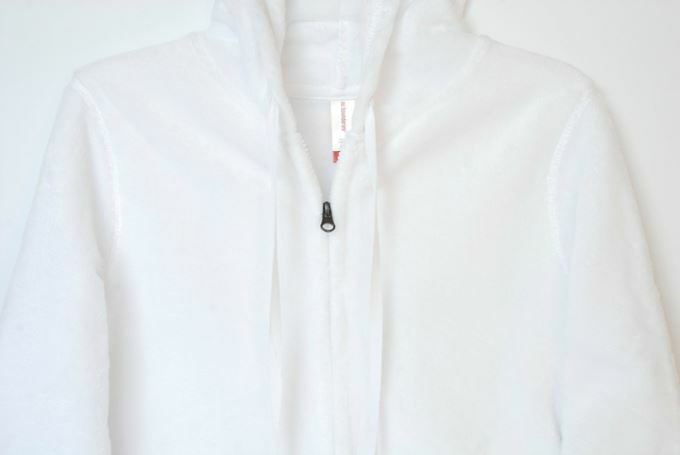 The white jacket has a hood and pockets. The drawstring on the hood does help you tighten it. It’s a “Juniors” but I didn’t have to go up in size. They also carry it in “Juniors Plus”. 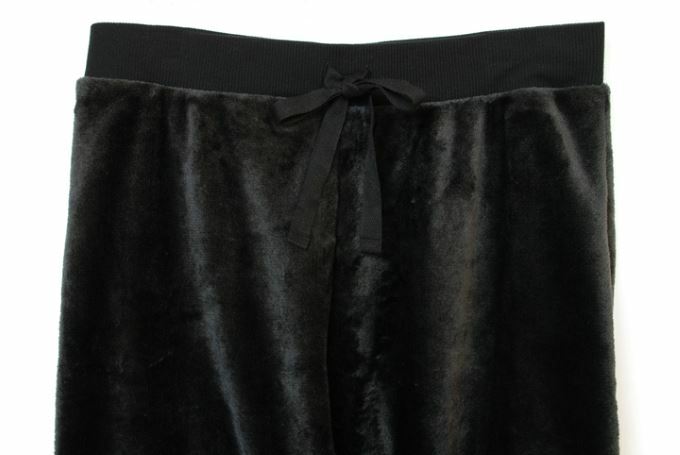 The drawstring on the elastic band waist of the pants is for decoration. The pants come in other colors, but do not have pockets. It has a matching jacket without a hood. The long sleeved tee was my favorite choice – so eye catching. 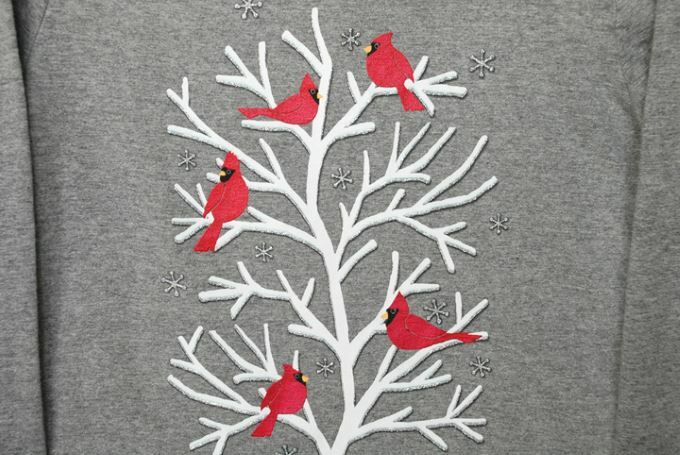 I love the satiny red birds and the silver glitter on the snowflakes and branches. 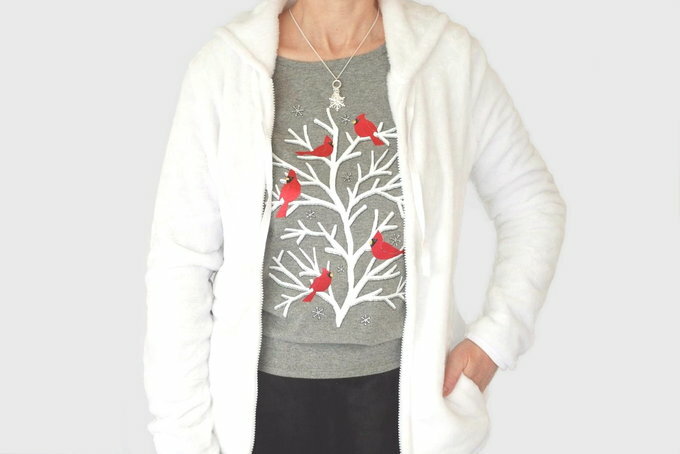 I think these Christmas tees will sell out quickly because they are so nice. The black canvas loafers aren’t fancy but go well with this outfit. 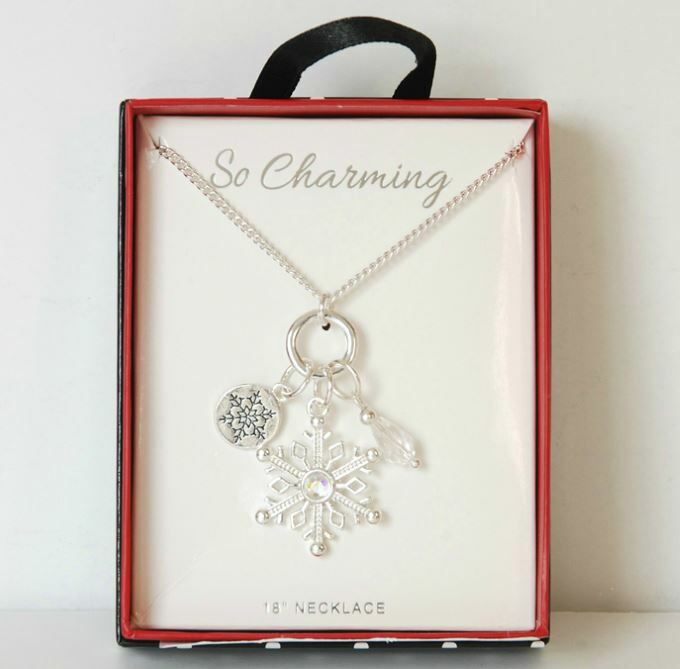 The snowflake necklace is really special. It’s in their Christmas jewelry. I love the details on it and the faux stone on the snowflake. It’s 18” long. Whoa, another child coming in for a hug as I write this. I may need to buy more of these jackets and pants in every color. Don’t you just love snuggle hugs?